Remodeling your home is both an exciting and stressful time. You have the opportunity to express your tastes and design everything to your standards and desires, but you also may come into conflict with others who want to do the same thing, like your significant other. While certain aspects of home remodeling must be tread lightly if you follow these five steps to tackle your renovations, your stress level will be significantly reduced and you can focus on the enjoyment! Plan ahead. It can be easy to jump right into restorations one room at a time, but in the long run, you will find it much easier for your peace of mind, building, and budget to plan ahead. What appeared to be a quick and easy job in the designing could become drawn-out and difficult if you forgot to consider the rooms surrounding your current renovations and how they would be affected. You’ll also need to budget in advance and allow a cushion for problems. Have a contingency plan. Most people plan to live in their homes while they are renovating, which is usually fine. However, during the actual construction aspect of certain areas, you may find it difficult to stay there and get anything accomplished or relax. If an important room takes longer than planned or if there is too much strain on your relationship or your mental health, have a back-up plan of a place to stay until that room is finished. Consider the legalities. Small renovations usually don’t require much in the way of permits, but full-house remodeling projects do. You will need to talk to your insurance agent ahead of time to ensure that your new plans will be covered. You’ll also need to talk to your local permit agency to be sure that your plans are up to code and see which projects will require a permit and inspection. For a lot of people, it’s simply easier to hire an expert in this field to handle this part for them. Don’t skimp on the finishing touches. Budget, budget, budget. It’s not only important so you can complete your full house, but it’s also crucial so that you can spend extra on the finishing touches that are going to please you aesthetically in the future. It may seem prudent to cut costs on your appliances, but if you end up with something you are unhappy with, you are just going to either be miserable or spend extra later buying a new one. Take the time to find something you will be happy with, like unique vanities or cupboards with deeper shelves, and add them into your budget instead. Make a demolition plan for each room. It’s tempting to start with the room you are most excited about first, but if you plan in advance and get easier rooms taken care of quickly, you will have a place to store your stuff as other, more used rooms are tackled. Talk to your contractors if you have them to get an idea of exactly how much demolition, framing, and behind the walls work each room will likely require and then decide which rooms will be done first and in which order. 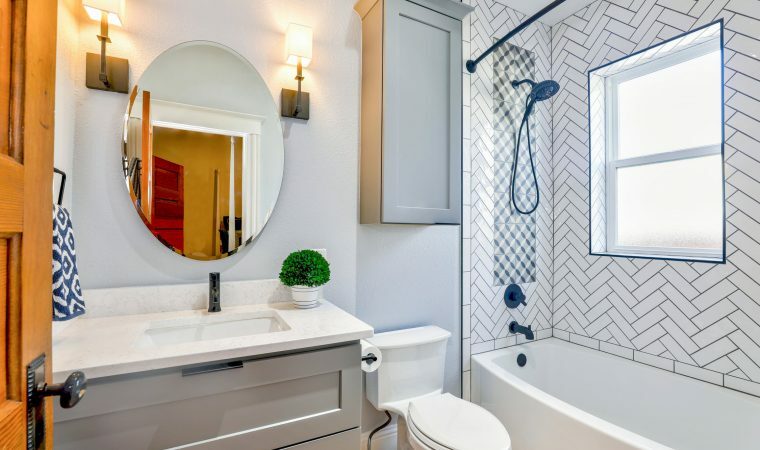 The actual steps to a remodeling project can be found in any DIY video or with any contractor, but the important part is planning ahead mentally and budgeting. With these five steps to your complete home renovation, everything else will fall in line!